I'd like to see how this looks at night. This display is carefully arranged, and it tries to encompass the spirit of giving. 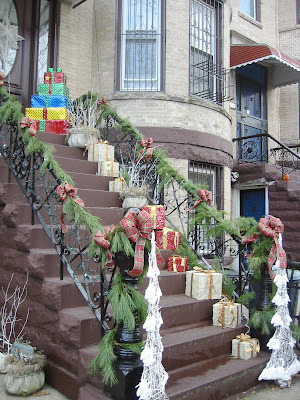 I'm thinking of asking the owners to let me pose the kids on the stoop for the annual card sending extravaganza. Keep the USPS in business, I say.